Discussion in 'iPhone and iPad Games' started by hellscaretaker, Nov 28, 2015. 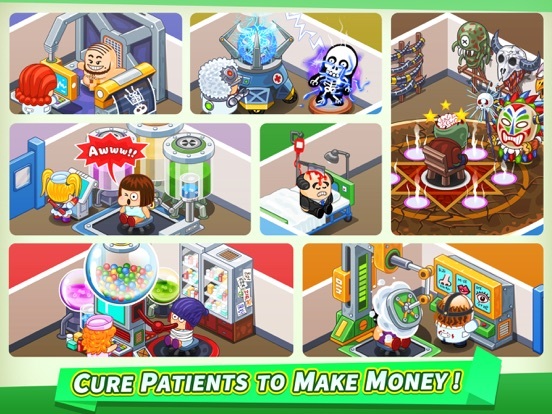 You are invited to build a fantastic theme hospital! 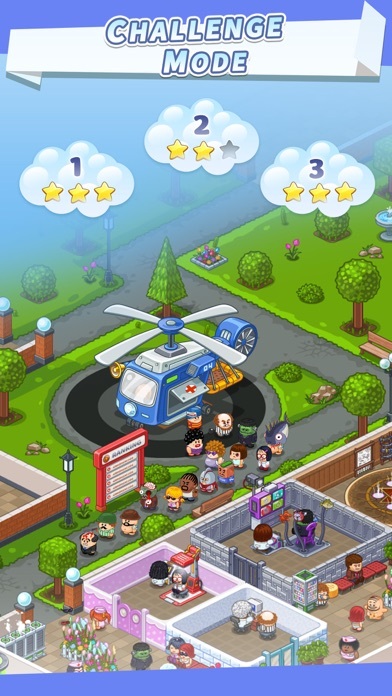 Build a hospital with your smart strategy NOW! And expand it to the most famous and supreme hospital in the world! 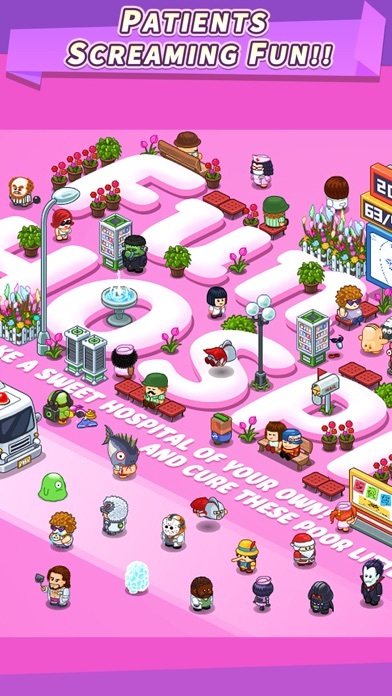 Play as the boss of the hospital, youll need to build rooms, hire doctors, and manage everything well to treat all kinds of funny & weird patients according to their disease. Always make sure your doctors and patients are in a good condition, and make good use of various facilities and items to make them feel happy and comfortable! Everything in your hospital is under your control! Various attributes & status and excellent AI for different type of Characters. Theres always more secrets to explore! Play with people all over the world in this amazing online NEW STYLE simulation game! ***** It's such a big surprise for me to find this wonderful game on App Store. 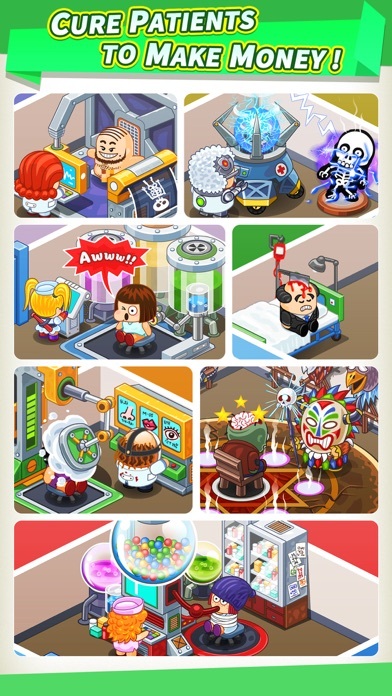 It just remind me of my happy memories playing the classic Theme Hospital, it's kind of like that game, but it has its own style and features. I've been playing this game for about 1 hours, and i must say it's bringing me a lot of fun. - Online real time strategy, play with your friends! 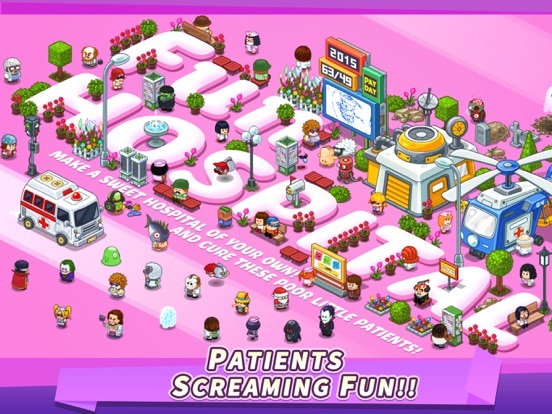 - More Doctors, patients, facilities and plots unlocked while hospital level up! - Excellent character AI, various character status. ste86uk says who found it "Anyone playing this yet? 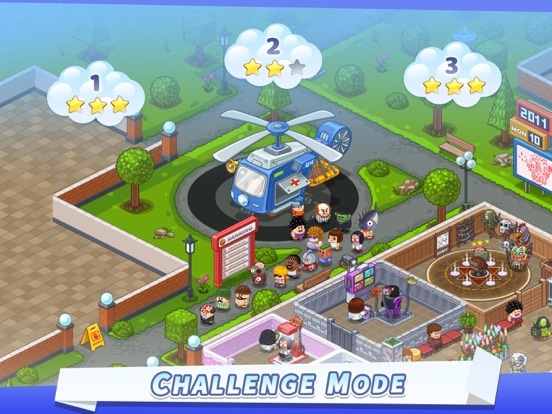 I found it on Monday and yes it's free and has IAP and also requires a connection but for those that do not mind those things this is a really good Theme Hospital type game. The IAP is completely not necessary and the dev calls it a strategy game more than a sim as it doesn't earn money passively while your not playing other than your money box which is like a mine on CoC. Most of your money you earn playing the game but that's mostly just juggling staff and putting the right people in the right place and also the rooms you use and how you squeeze them all in. I think it's pretty new? But the dev seems receptive to the community and I messaged them yesterday about a change I wanted and many others and they did it right away and have been asking my opinion on certain aspects. Well worth a try for anyone interested anyway." 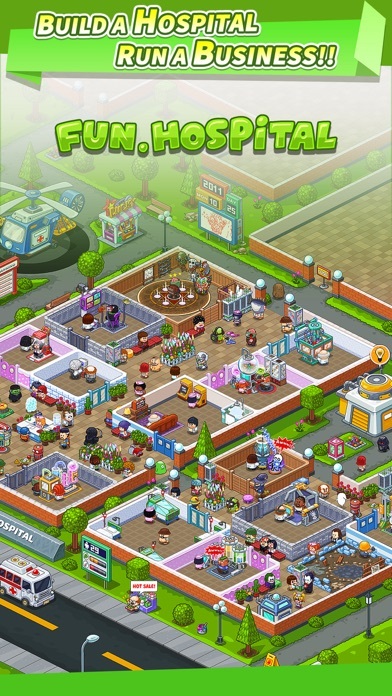 Tip: Tap your level in top left and go to policy and set your visitors/patients to 80% and staff rest at 60. 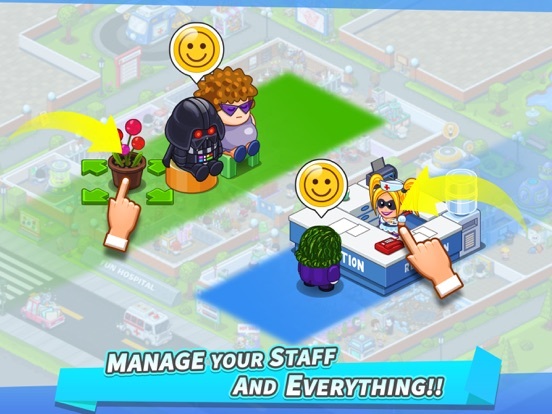 It'll help a lot in managing your hospital as you setup and help keeping your staff happy. Send staff for breaks often yourself if they are not working to keep them happy. The game isn't only CA available as I got it on the UK store I'll ask the dev. Honestly the IAP is nothing to worry about and the devs are very receptive. At the moment I'm ranked 5th in the world on the rankings for my healing record and enjoying the game. 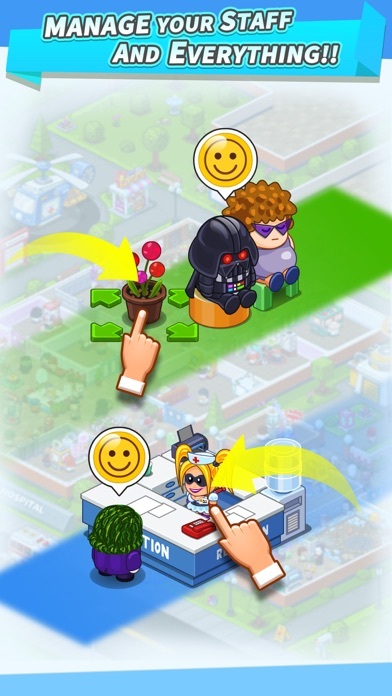 My main concern is I feel the game should continue working while the app is closed and earn you money by curing patients as keeping the app open I do enjoy it in small bursts but spend a fair bit of time just sending staff for breaks and swapping them around. Be careful who you hire also, some staff are much much better than others so it's good to check the recruitment page every few goes to see who's on offer as I only hire the best myself. If anyone wants to ask anything specific I may be able to help just ask! Is it a soft launch release as i have tried it on a NZ account i use for playing games and got told its not available in NZ. So we can conform its CA,UK any where else??? The game is CA and UK in testing that's confirmed by the dev and I was also told if the game is linked to the same GC it'll work cross device but have yet to try. I talk to the dev a lot on Facebook and they are very interested in opinions and things people thing should be changed. 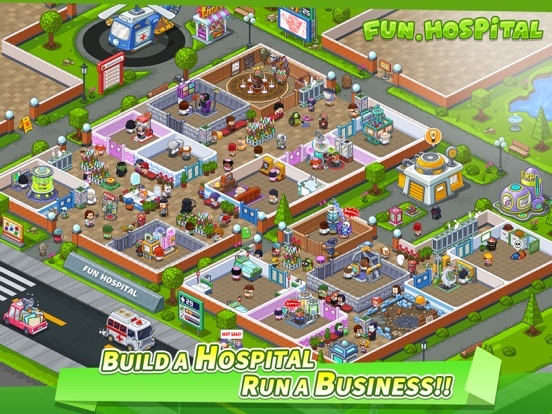 They took inspiration from Theme Hospital. Also the devs want to do more but are worried it'll use more memory than an iPhone 4 can handle, I said I wouldn't even consider an iPhone 4 right now. What do you guys think? iPhone 5 minimum these days? Been waiting to play a game like theme hospital since well theme hospital. I agree I guessed the 5s but said 5 to be safe but said I'd try asking opinions and messaged Eli too so hopefully he gets time to reply. They said if they didn't have to worry about the iPhone 4 they could add more building space/plots. But even now I see people give a bad review because it won't work on their 4s which is what 4 years old now? Ok so my hospital is at -1 and I can't build anything, is this a glitch? You mean -1 level? I've never had that issue myself. If so all I could suggest is delete the app and remove from GC then re-install. There are still bugs with the game as with all softlaunches but I haven't had that yet. Ouch yeh go easy on the chairs I hardly had any for a while. One big tip for everyone if you press your level in the top left it'll bring up tabs with different info on them go into policy and set your patients/visitors to 80% and your staff resting to 60. That'll help things run much smoother, also keep an eye on extra staff you have floating around and keep sending them for break so their happiness refills as if they become very unhappy they ask for money or will resign. It's very easy to keep them happy since the dev updated the system the other day. I wish it wouldn't keep bugging me to turn on location services every time I opened the app, it's annoying. I'm having fun so far, but my cure rate is very low, and I'm not sure why... I think it might be because I didn't build the injection place quick enough and all the people that needed to get injections left without being cured? The doctors have little icons e.g. brain, scalpel, voodoo doll, I can't find anything that says what these mean? I assume it's the roles they specialise in? When staff get level up, what happens? Do all their stats improve or just one, or what? Hey so I've already previously mentioned the location services thing to the devs they are aware of it and looking at it. As for the cure rate make sure your checking the recruit page often and hire only the best staff, also place your best doctors and nurses in the treatment rooms rather than the diagnosis rooms. When staff level up they gain ability and efficiency so you want to pick staff with 5 charm to begin with. Generally I look for doctors with 15-5-120 and similar with nurses but often have nurses with 105 energy instead. But it's easy to fire and hire, also the red cleaners are better. As for the brain and scalpel ect later on you unlock specialised rooms where you need staff trained in these specific skills, so it's always better to hire doctors with these abilities rather than doctors with no skills. So far this game is pretty good. I haven't had a ton of time to dig into it yet, but from the 45 minutes or so that I've played, it seems pretty legit. Good to hear : ) I think it has so much potential and already a great base. The devs are trying to get an update out before Christmas with bug fixes and changes to some room sizes and other things ect they are considering changing the size of the areas you have to build or even make it 1 huge area but have said they are going to have a discussion on it today on if they will head more in the sim direction or more in a strategy direction. Personally I feel the game would fit better as more sim changing up the management a bit and making it so the hospital still runs while your offline, as a strategy game there just isn't enough there to keep you playing for long periods of time. One player has claimed she is able to earn money in the game while its running in the background, im not sure how shes doing it. I would pay to remove the timers when it comes to building the room. so dont mind the timers for healing but yeah i would pay to remove the timers from building of rooms and yeah it cost me $6.00 or more i would pay up for that option. You have a money box and exp building that generate cash and exp while your offline but not a whole lot of cash really. They are kind of in the middle right of your hospital area and can be upgraded so they produce and hold more. As for the room timers honestly they are no bother they work while the game is closed so if you start one and close the app when you come back it'll be done. Plus the longest I've had is 18 minutes so far and once they are built they are built its not like they need upgrading or anything but in the future you may want extras but no big deal on the time for them.